Does this sound like you…every day it seems more and more difficult to get out of bed because of chronic joint pain? Do you find it difficult to perform many of your regular daily tasks, things you never even gave a second thought to before? If you can answer these questions positively, then you really should seek out the help of someone who can eliminate your pain, without surgery or addictive drugs. You are probably thinking, “What can Dr. Toland, do for me? 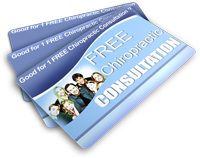 I thought chiropractors only work on back pain.” Well, think again! There are many conditions that I can help you with because chiropractic adjustments can help with many other areas on the body, not just the spine. There are many ways that I can treat your pain, including disc decompression, spinal manipulation, physical therapy and exercises for you to do at home. Often, joint pain is caused by an underlying condition. After a thorough examination in my office at 13478 Carrollton Blvd., 23314, where I can get a correct diagnosis of the actual problem that is causing the pain, I can start working on eliminating that pain and healing the condition that causes it in the first place.